You Could Win a Tree! View the beautiful holiday trees and purchase a Raffle Ticket for a chance to WIN your favorite! View/Purchase tickets for our 2018 Festival Trees by clicking here! From angels to nutcrackers, butterflies to birds, and football helmets to fishing lures, you're likely to see almost anything adorning the beautiful and creative trees at the Festival of Trees. Held annually at the Sidney & Berne Davis Art Center (2301 First Street) in the historic Fort Myers River District, our festival has something for everyone. Festival admission is only $2.00 for visitors age 12-up. The Festival of Trees is actually several great events rolled into one. The Festival of Trees is a showcase of beautifully decorated trees, designed by local businesses, individuals, and organizations. You could win beautifully decorated tree! We kick things off with a Preview Party & Breakthrough Awards on Tuesday, November 27. Other great events during the week, including an Ugly Sweater Contest on Wednesday, November 28.,and Painting with a Purpose on Thursday, November 29. Friday night’s highlight is The River District Holiday Stroll, capped off by a concert by the Nowhere Band. That’s all Friday, November 30. Saturday, Saturday, December 1 features the Children's Holiday Workshop at Santa's Block Party, day of arts and crafts for the kids. Kids can meet St. Nick and even get their photo taken with the Jolly Ol' Elf! Hungry for more? Enjoy Brunch with Santa, featuring your choice of foodtrucks (not included in the Workshop fee) and enjoy entertainment and stroll the street and visit the holiday vendors. Special admission fees may apply to each of our evening events. Click links above for more details. Nearly every tree at this year's Festival of Trees is available in our 2018 Tree Raffle! Festival visitors will have an opportunity to win one (or more) of our trees-- and all of their beautiful decorations and gifts, too! Click here for more details, including contest rules. 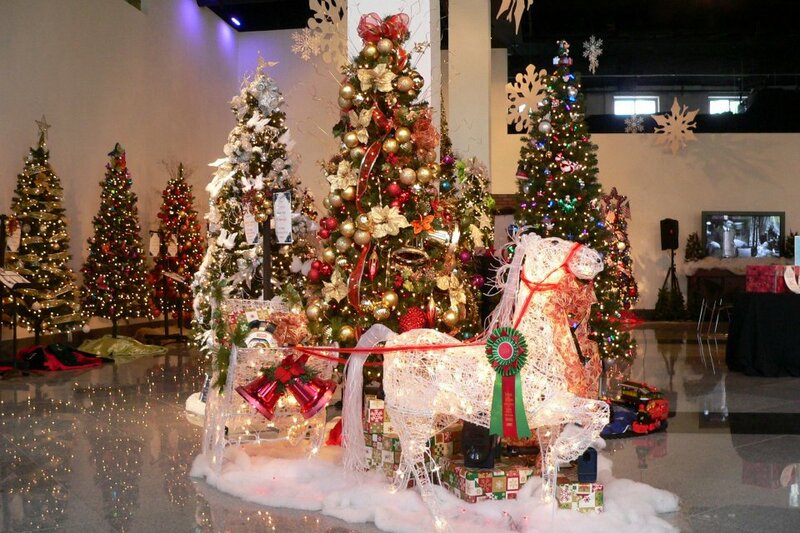 The Southwest Florida Goodwill Foundation is the beneficiary of the Festival of Trees. The Southwest Florida Goodwill Foundation is dedicated to providing a lasting impact on the lives of individuals with disabilities and barriers to employment by providing opportunities to achieve independence. Supporting the mission of Goodwill Industries of Southwest Florida, the Foundation works to ensure long-term funding is available for programs and services as needs escalate in Lee, Collier, Charlotte, Hendry and Glades counties. Southwest Florida Goodwill Foundation’s Registration # is CH29995. A COPY OF THE OFFICIAL REGISTRATION AND FINANCIAL INFORMATION MAY BE OBTAINED FROM THE DIVISION OF CONSUMER SERVICES BY CALLING TOLL-FREE 1-800-435-7352 WITHIN THE STATE OF FL. REGISTRATION DOES NOT IMPLY ENDORSEMENT, APPROVAL, OR RECOMMENDATION BY THE STATE. PLEASE VISIT www.800helpfla.com FOR OFFICIAL REGISTRATION INFORMATION AND ADDITIONAL INFORMATION. Your gift to the "Very Beary Christmas" tree will support the SWFL Goodwill Foundation.